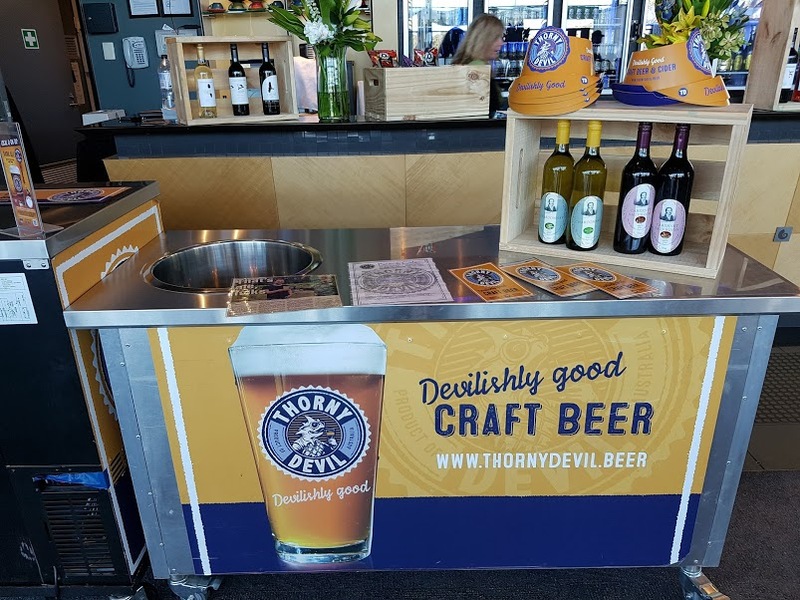 Online Beer and Wine: Thorny Devil Delivered for Free! Online Beer and Wine: All ale Bridgnorth beer festival! Peter Thorpe is a man with a plan. “It’s quite difficult when you are presented with 63 beers,” he says, weighing up the challenge ahead. It is his first visit to the Bridgnorth Beer Festival, although he is something of a veteran of the real ale scene and he knows his way around. “Without wanting to sound to train-spotterish, you have to have a plan,” says the 56-year-old from Bishop’s Castle, as he acquaints his taste buds with Dark Star Espresso. Peter, who is attending the three-day festival with Julia Bath, 58, reveals his Achilles heel. “My problem is that I will try anything,” he says. “You get people who are quite narrow about it, who will only try certain types, but I will drink anything, I want to discover more. While Britain’s pubs close at the rate of 29 a week, beer festivals appear to be more popular than ever as demand for real ale reaches a record high. According to accountancy group UHY Hacker Young, the number of micro breweries in Britain has grown from 291 in 2013/14, to 361 in 2014/15, while the number of applications to HM Revenue and Customs to launch new breweries has nearly trebled over the past five years. Eleanor Haddon, whose husband Dave founded the Bridgnorth festival 21 years ago, is the organiser of this year’s event, her third year at the helm. She estimates that around 700 people will attend the event in a marquee at the Severn Valley Railway station, and by the time it closes tonight, more than 4,500 pints of beer will be consumed.